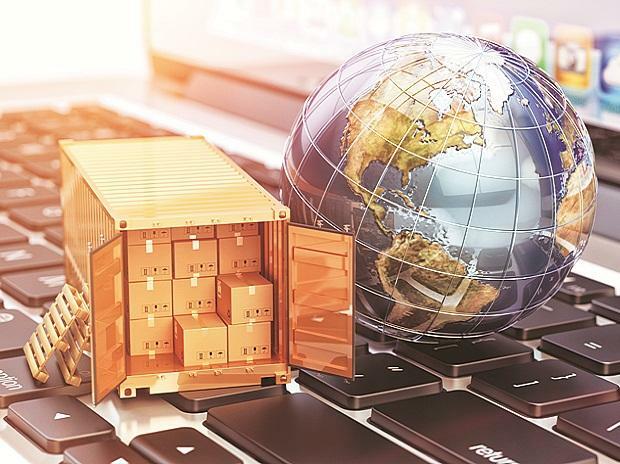 Amid 'trade war', retaliatory action and impending slowdown, where is WTO? The system of the World Trade Organization is currently "falling short" of its objectives and there is a room for improvement, a top official of the global trade body has said. The World Trade Organization (WTO), established in 1995, describes itself as the international organisation whose primary purpose is to open trade for the benefit of all. Last week at the last formal session of the year of the General Counsel, 164 members in the WTO authorised a process of consultation to go forward with respect to reform which is "extraordinary and a sea change", WTO Deputy Director General Alan Wolff told a Washington audience. "I think that many important people are seeing a path forward, that reform is needed and most recently evidenced at the G20 ministerial in Buenos Aires in which they said that the system is currently falling short of objectives and there is room for improvement," he said. "We, therefore, support the necessary reform of the WTO to improve its functioning," Wolff said Monday during his appearance at the Peterson Institute for International Economics, a top American thin-tank. According to Wolff, there has been plenty of lip service paid over the years to a multilateral trading system and very little investment in it. "Very low investment by business, very little investment by most of the major trading countries and I have a litany of those that I would consider under investors that since they respond poorly to my saying," he said. Expressing optimism over WTO reforms, Wolff said despite noteworthy exceptions, there is a widespread fundamental understanding of nearly all governments of the utility of having a multilateral system, not just regional systems, not just bilaterals but multilateral. "The only way to get tariffs across the board within agreed bounds, the only way to have non-discrimination, the only way to have product standards that work worldwide is to do it multilaterally," he said. The WTO delivers benefits through the multilateral trading system that can't be duplicated through plurilateral agreements, he said. "As I say non-discrimination on a global basis. Agricultural subsidies cannot be negotiated among a few countries. They have to be negotiated more broadly. Industrial subsidies have to be negotiated more broadly," Wolff said. Further, WTO agreements keep the world from being re-divided into trading blocks and they, the rules of the multilateral trading system, underpin the USMCA, the Eurasian free trade agreement, the new continental African free trade agreement. They all are based upon the WTO rules, he said. Also, there is a common effort to improve the system, not scrap it. "The sharpest critic of the WTO whose name will be familiar to all of you said in May at the OECD ministerial if we didn't have the WTO we would have to create. That's not anyone running for the door and in fact, no member is left and 22 are seeking entry currently," Wolff said. Wolff asserted that the multilateral trading system will prevail because nations who have tried alternative models ignoring the market fail. Observing that without the rule of law there is chaos, he said there is no place where one you can craft rules of general application other than in the WTO. "My conclusion national policies will ultimately align themselves with economic reality," the top WTO official said. Referring to the trade war between the US and China, he said neither side has claimed a legitimacy under the international rules for the latest rounds of tariff escalation against each other. "It's not in my position to condone or condemn any party, any member, but my neutrality does not extend to the WTO which I happen to favour and I think that the rules have to play a role," he said. He said the US and the Chinese are now driving on both sides of the road slightly -- some things are within the rules and some things are not within the rules. "What should be done, the way to a solution I would hope the truths that exist detente, not the final outcome which no one can predict," he said. Wolff argued that an appellate function is necessary for consistency of decisions and to deal with egregious errors because there will be egregious errors. "But we are not there yet but the conversations have begun today in Geneva. Consultations are starting today and tomorrow in Geneva with interested countries, member countries as to what they think should be done with respect to the Appellate Body. So we are beginning," he added. The WTO currently has 164 members, of which 117 are developing countries or territories.